JERUSALEM, Israel (BulgarianMilitary.com) – ELTA Systems, a subsidiary of Israel Aerospace Industries (IAI), was awarded a contract by the Systems Missiles and Space Group of IAI to supply to the Israeli Navy four ELM-2248 MF-STARs Multi-Function Digital Radars, based on the latest Active Electronically Scanned Array (AESA) technology, learned BulgarianMilitary.com. The radars are to be installed on the new Sa’ar 6-class corvette warships recently acquired by the Navy, tasked to protect the Israeli maritime domain and critical assets such as natural gas platforms against missiles, rockets and enemy aircraft. To be installed on the ship’s masts, the MF-STAR comprises four conformal phased array S-Band antennas providing 360° coverage. The Israeli Navy selected this version as it is optimized for the design of the Sa’ar 6 vessel, offering maximum performance. AESA technology allows for faster threat alert response time, better accuracy, and the ability to simultaneously track multiple targets and different target-types thereby providing an optimal Situational Awareness Picture (SAP). When confronted by an incoming threats, the radar rapidly provides relevant data to the entire weapon systems on board (such as Gunnery and Surface-to-Air Missiles), in order to deliver the proper response. Optical networking and antenna tile architecture makes the system significantly lighter than similar radars, without reducing its capabilities and functionality, deeming it the best naval radar in its class. The system’s radar manufactured by ELTA Systems, an IAI group and subsidiary, is a multi-mission radar, supporting air defense missions. It delivers an accurate, high quality, real-time arena situation picture and extracts low Radar Cross Section (RCS) targets even in the toughest environmental conditions. It is a digital Active Electronic Steering Array (AESA) Radar System which incorporates new and advanced technologies. Gil Roth, director for naval systems, at ELTA told Bulgarian military that the radar will serve as the main Saar 6 radar and will serve all weapons systems that will be installed on the corvette. 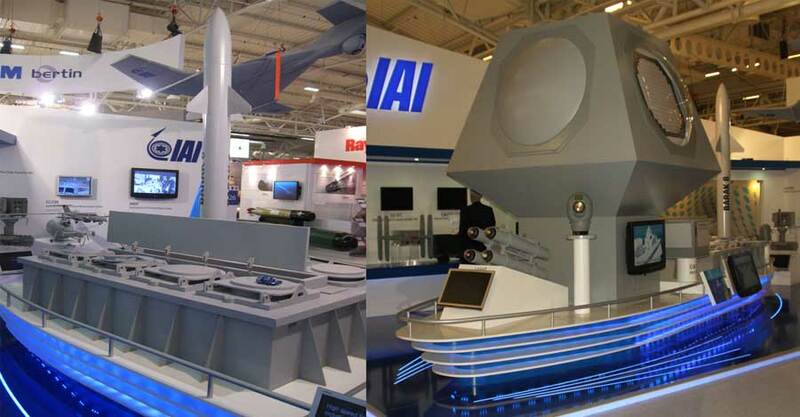 The Saar – 6 will carry to main sea – air systems – the Barak – 8 made by Israel aerospace industries (IAI) and the C-Dome made by Rafael.